Silicone breast implant lawsuits used to be one of the hottest topics in a plaintiff lawyer’s mind. Numerous successful lawsuits against The Dow Corning Company got the ball rolling in the cosmetic surgery debacle of the 1970s, 80s and 90s. Things have changed considerably now, but at one time, being a cosmetic surgeon or breast implant manufacturer, put a price on your head in the legal system. For many doctors and medical companies, that price turned out to be very high indeed. This article details the sordid history of silicone breast implant litigation. Modern silicone breast implants were developed by Dr. Frank Gerow and Dr. Thomas Cronin in the 1960s. Patients began to receive these new implants for cosmetic purposes in 1962. The Dow Corning Company became the primary manufacturer and supplier of silicone implants worldwide. In 1977, the first lawsuit was commenced by a woman who suffered a ruptured breast implant and symptoms which were suspected to be related to silicone poisoning. The case was settled with little publicity, for about $170,000, by The Dow Corning Co. Although this particular case received little public attention, it certainly got inside the mind of every plaintiff lawyer in America. These attorneys sought out women who had experienced any health complaint at all after receiving breast implants. So began the battle which almost destroyed the breast augmentation industry. Dow Corning had backed itself into a corner by settling that first case. What ensued was a steadily growing stream of lawsuits over the next 18 years, which eventually put the company into chapter 11 bankruptcy protection. By the 1980s, women were suing Dow, and many individual surgeons, for a variety of health complaints ranging from cancer to connective tissue disease, to a plethora of unspecific illnesses. Awards in victorious cases were set into the millions, which created a feeding frenzy among breast implant lawyers, who were now actually paying less reputable doctors to do skewed research, looking for any possible link between silicone and any harmful health condition. The media got on board with most plaintiffs, since they put forth an honest and victimized appearance when the corporations involved maintained cold and defensive postures. In the heat of this battle, The Dow Corning Company was already convicted in the court of public opinion, long before most cases ever went to trial. This set the stage for the multitude of plaintiff wins, which came in the early 1990s. By the 1990s, women were suing Dow and their cosmetic surgeons for autoimmune disease, fibromyalgia, psychological disorders, depression, anxiety; you name it, they sued for it. Dow was losing the battles, in and out of the court, to the tune of millions each verdict. Class action lawsuits began to pop up from particularly smart and hungry lawyers who saw the chance to go for the proverbial jugular. Dow was reeling and some surgeons had gone into early retirement, or even hiding, to avoid litigation. In 1992, the FDA banned silicone implants for general consumption, until further research can be completed to ensure safety. Also in 1992, despite no clear cut evidence that silicone breast implants are dangerous, Dow left the implant business completely, as did other well known medical suppliers, such as Bristol-Myers Squibb and Bioplasty. The trials continued and the companies got pounded for hundreds of millions of dollars. In 1994, class action suits were joined to form one super lawsuit; the largest in history. The suit was targeted against all the implant manufacturers, including Baxter, Bristol-Myers Squibb/MEC, 3M, and of course, Dow Corning. By 1995, there were over 20,000 individual and class action suits against the implant manufacturers. Almost 450,000 women had joined the class action lawsuit against Dow. The value of the suits was in the billions and forced Dow to seek bankruptcy protection from the US government. Although Dow was stretched to the breaking point, huge numbers of research studies began to come in from around the world. These studies were completed by US and foreign government agencies, as well as reputable private sector medical organizations and investigative committees. Not a single study found any definitive evidence that silicone breast implants caused, or contributed to, any particular health condition or disease. 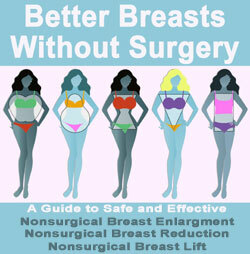 In essence, the reports all stated that women with breast implants got sick. Women without breast implants also got sick. The percentage of implanted women who fell ill is proportionate to the general population of non-implanted women for any particular health crisis condition. It turns out that breast implants were deemed to be purely coincidental to the incidence of disease or illness according to these studies. The research studies turned the tide of litigation and Dow started winning many breast implant lawsuits. Even in cases where it lost, the damages were far less than in the past verdicts. In 1998, the largest class action suit was settled by Dow for 3.2 billion dollars; far lower than expected. This settlement allowed Dow to emerge from chapter 11 and begin to expand its alternate industries once again. The average plaintiff in the class action suit received between $2000 and $300,000 each, depending on claims made and case particulars. In 1999, the National Academy of Sciences’ Institute of Medicine released its famous 400 page report, which concluded that silicone did not cause, or contribute, to any disease process or illness. Although testing continued and implant designs changed, this set the stage for a comeback by silicone breast implants in 2006. We have mixed feelings on these historical proceedings. On one hand, the women who sued were mostly sincere and actually were very sick. They had been told that the implants caused their suffering, when the same conditions might have affected them, even if they never received breast implants. There is no way to be sure, since the implants were there and they did indeed get sick. The implant manufacturers did not have good patient education programs in place and did not adequately warn patients that their implants might break or leak. This was a definite problem and was also the real reason why the companies agreed to settle many cases, despite no evidence of disease being directly linked to silicone. The companies knew that they should have used better disclosure methods and wound up paying a huge price. These mistakes taught the medical industry valuable disclosure and education lessons for future operations; lessons which we still see in effect today, especially in the pharmaceutical industry. In the end, silicone was cleared and is now readily available again. 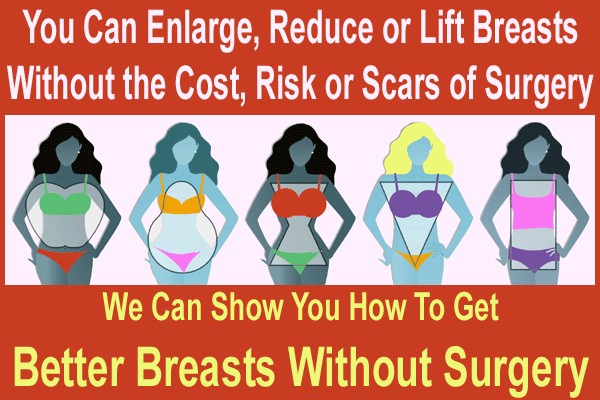 Many women still blame their sickness on breast implants, while others have learned that they are sick simply because they are sick. The logical conclusion of all the research states that cancer, fibromyalgia, CTD or any other condition does not appear to be caused by implants, but implants certainly do not protect the patient from these conditions either. Women will become sick with these conditions, implants or not. Cancer happens. CTD happens. It is merely a fact of life. We do not blame any woman who is convinced that she is sick from her implants. After all, suffering is horrible and we all seek a reason to explain our pain. The saddest part of the entire litigation process is that of all who were involved, most lost. The implant companies lost and many went out of business. The surgeons lost in financial aspects, reputation and some even lost their lives. The patients mostly lost with minor compensation and tremendous suffering. How do you feel that for all this suffering, many lawyers got incredibly rich?